The 2019 DGM Application closed on 12/31/18. We are only able to take Growers to our waitlist at this time.  If you are a grower and interested in selling, please send an email to market@abqmainstreet.org. We take Specialty Booth Applications all year round. A Specialty Booth is a booth intended for groups other than grower, prepared food, artist, or health and wellness who are looking to do things other than sell. More information is listed within the application. Please click the "specialty booth application" button below to learn more and see if you may qualify.